It’s been a while since I last wrote about Franklin Park in Boston, but the weather has been so cold and miserable that I haven’t had any chance to wander in the Park and find new things to rant about. 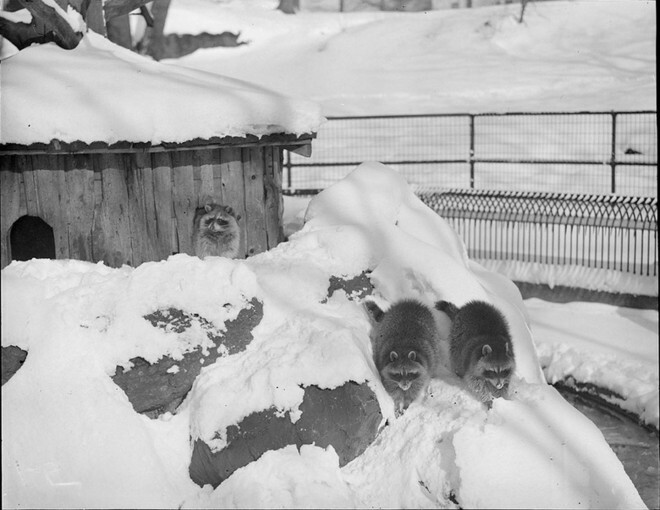 So I thought I’d share a few old photographs I found in my online meanderings of winter views from Franklin Park’s past. All the joys of winter fun in the Park without leaving the warmth of your computer. 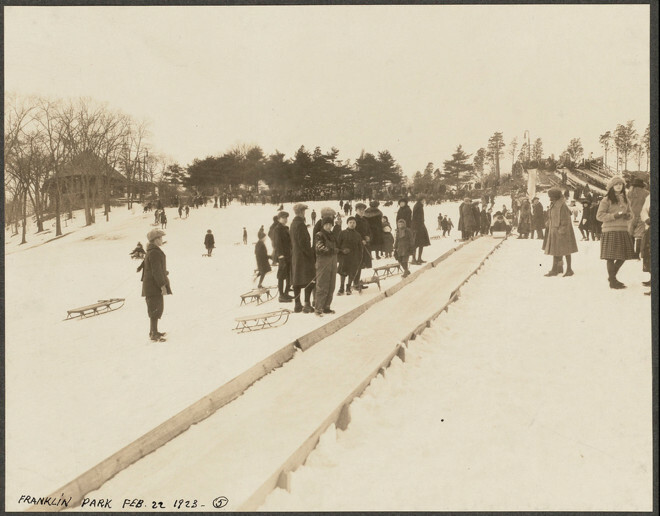 First up I have two photos from 1923 of a toboggan run on the slopes of Schoolmaster Hill. Today there is a golf tee-off area (do those have names?) here so it looks a little different, but not much. My neighbor said she remembers doing this as a kid, so I guess they had these until the late-70s or early-80s. 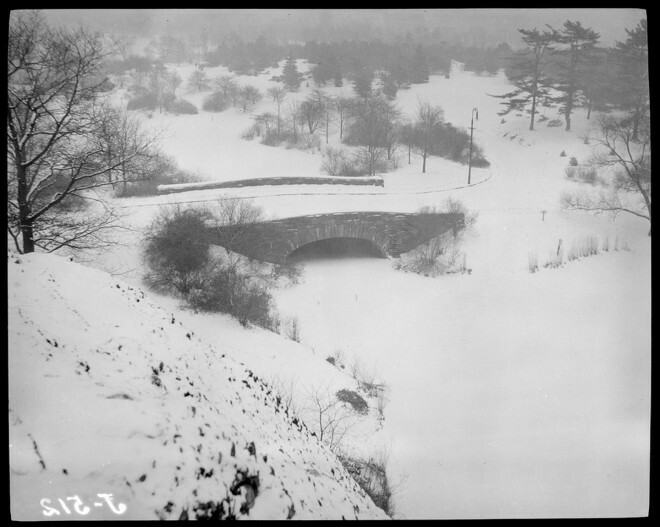 A 1923 view of the toboggan run on Schoolmaster Hill. 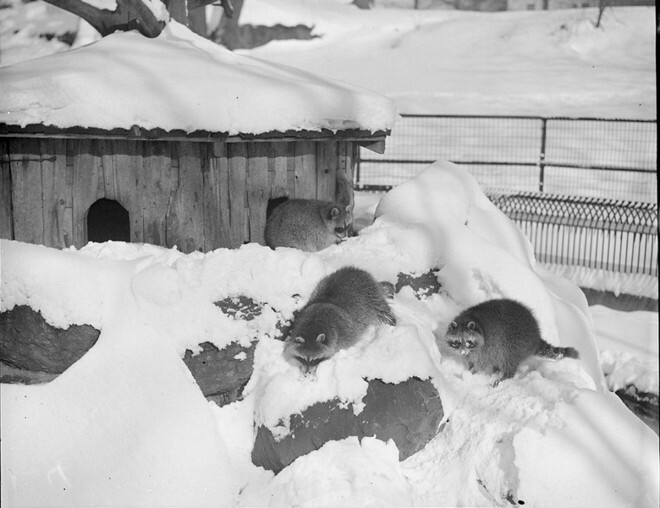 Via the Boston Public Library’s Flicker stream. 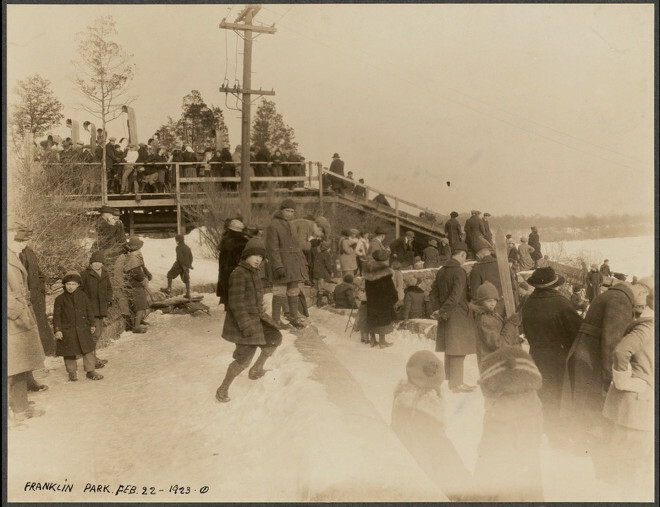 Another 1923 view of the toboggan run on Schoolmaster Hill. 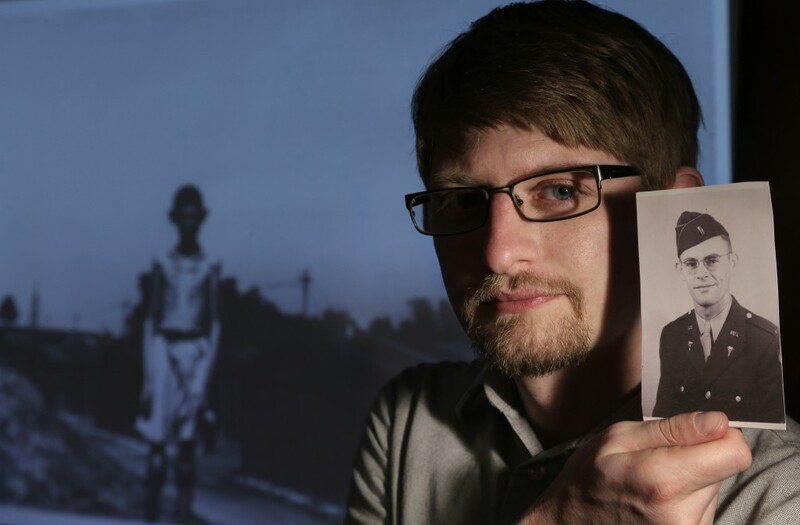 Via the Boston Public Library’s Flicker stream. Next I found this cool shot from atop Rock Milton (or is it Rock Morton?) looking down at the Carriage Bridge of Scarborough Pond. A view of the Carriage Bridge in winter, circa 1918. Via the Boston Public Library’s Flickr stream. 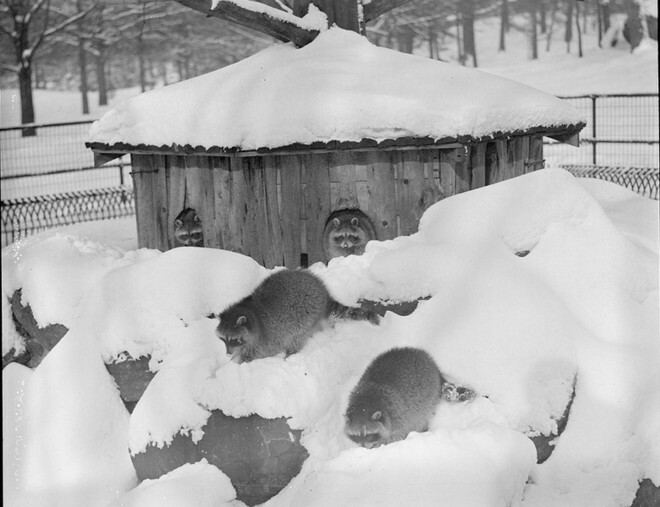 My last photos of the day are a re-post of these adorable raccoons in the Raccoon Cage. The cage is now abandoned but still can be found in the Park, near the Bear Cages. Via the Boston Public Library. I hope you’ve enjoyed these winter views, and I promise I’ll get back to original rants as soon as spring arrives.